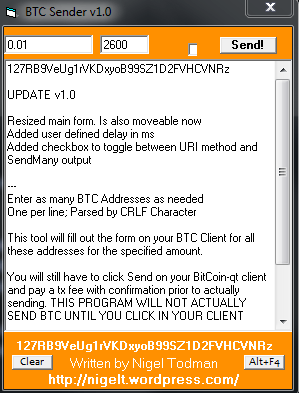 This tool will fill out the form on your BTC Client for all these addresses for the specified amount. ← Canada could eliminate Poverty and Homelessness overnight. But will they?